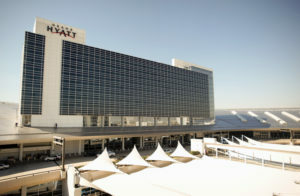 PrJSC New Engineering Technologies (Kyiv), the owner and management company of the five-star hotel Hyatt Regency Kiev, in 2018 saw its net profit rise by 9.3% compared with 2017, to UAH 102.056 million. According to a company report in the information disclosure system of the National Securities and Stock Market Commission about a general meeting of shareholders scheduled for April 18, its assets remained almost unchanged and amounted to UAH 348.7 million. According to the agenda of the meeting, the company plans to pay UAH 101.182 million in dividends for 2017-2018. The size of dividends will be UAH 0.47 per share. According to the report, the total debtor indebtedness of the enterprise in 2018 decreased by 36.6%, to UAH 5.336 million. Retained earnings increased by 7.7%, to UAH 102.07 million. Short-term liabilities decreased by 19.5% and amounted to UAH 31.3 million. The company had no long-term liabilities by the end of last year. In addition, the company intends to include UAH 873,300 in retained earnings. Ribas Hotels Group LLC (Odesa), the managing company of the national chain of midscale and upscale tourist hotel and restaurant complexes, plans to open a hotel in Karolino-Buhaz (Odesa region) in 2020. “In the resort village of Karolino-Buhaz, in May 2020 we will launch the Montana Beach hotel with 69 rooms: standard, junior suite, and suite. For guests with disabilities, we also open superior rooms. The interior and exterior of the facility are styled of America in 1950s of. The planned amount of investment is $2.7 million,” Director General of Ribas Hotels Group Artur Lupashko said in an interview with Interfax-Ukraine. According to him, the company is positioning the facility as a family hotel. Thus, the project includes a medical center and a nursing room; on each floor there are special alcoves for storing baby strollers. In addition, the infrastructure of the facility includes two restaurants, one of which is designed on the roof, next to the lounge area and the playground. “We are also currently finishing work on the environment-friendly facility project for introverts on the Kinburn Spit with about 30 rooms with a small oriental restaurant. It will be small cozy campgrounds. The planned investment amount is $1 million,” Lupashko said. He said that according to the project, the complex includes a swimming pool, a barbecue area, an open cinema hall, and an entertainment zone with trampolines. The project plan also includes a building for staff accommodation. 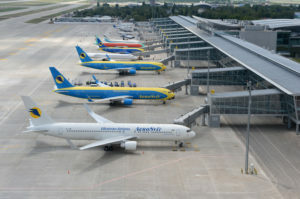 The construction of a hotel at Boryspil International Airport will begin this spring, and a total of four hotels can be built at the airport, director general of the airport Pavlo Riabikin has said in an interview with the Interfax-Ukraine news agency. “We have issued technical conditions for connecting to networks for two objects that are positioned as hotels. Private investors are building them. Two more companies are interested. Therefore, we consider four potential hotels. Construction work at one of them will start this spring,” he said. According to the airport’s director, if construction companies successfully implement their plans, about 200 rooms could appear at the airport, which will allow to cover the basic demand. Riabikin also noted that he had not heard “any well-known names from the point of view of hotel business operators,” but he connects this with the fact that the operators themselves do not build housing but manage. 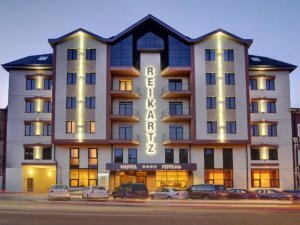 Reikartz Hotel Management LLC (Kyiv), a managing company of the Reikartz Hotel Group, has signed a contract to manage a first hotel in Yaremche (Ivano-Frankivsk region), Stanislavsky Hotel, which entered the chain under the Vita Park brand. “The resort hotel Stanislavsky entered the network under the brand Vita Park, and from November 1, begins work under the name of VitaPark Stanislavsky Yaremche,” Reikartz said on its website. Reikartz Hotel Group Operating Director Andriy Dema said that the complex infrastructure includes 54 rooms of various categories. He also said that by the middle of 2019, the second building with 130 rooms will be open. Reikartz started its activity in the sphere of hotel services in Ukraine in 2003 after a group of Belgian architects, led by Francois Ryckaerts, had bought an old mansion in Drukarska Street in the center of Lviv. Reikartz Hotel Group unites 37 hotels in Ukraine, two in Sweden and three in Germany.